This week I listed 2038 Florida Avenue for sale. Yesterday I got a call from someone asking if it was for sale or rent. They directed me to a Craigslist post advertising it for rent. That the right house and address…just fake info. website and got a Yahoo email address that looks like his name. email – not really the owners email address. very detailed friendly email back from the Scammer. 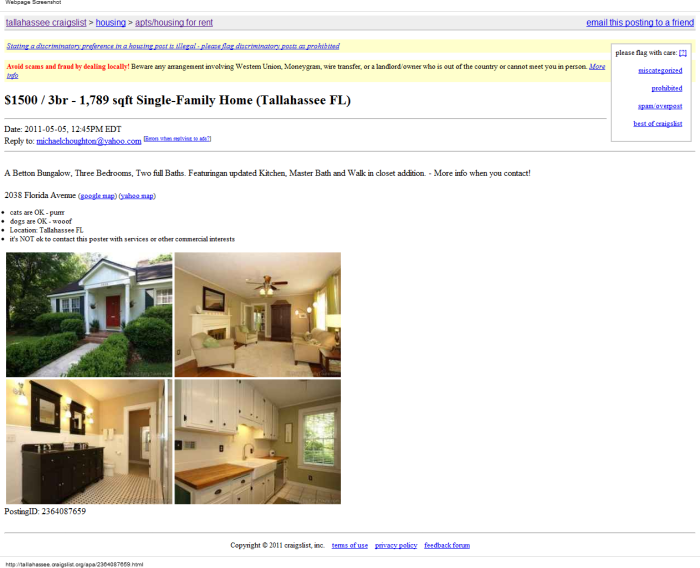 I’ve reported it to Craigs list as a scam but its still up on their site. And contacted the local police department- curious what they will do.